Permits to buy handguns in North Carolina must be obtained from the sheriff in the county that you reside. 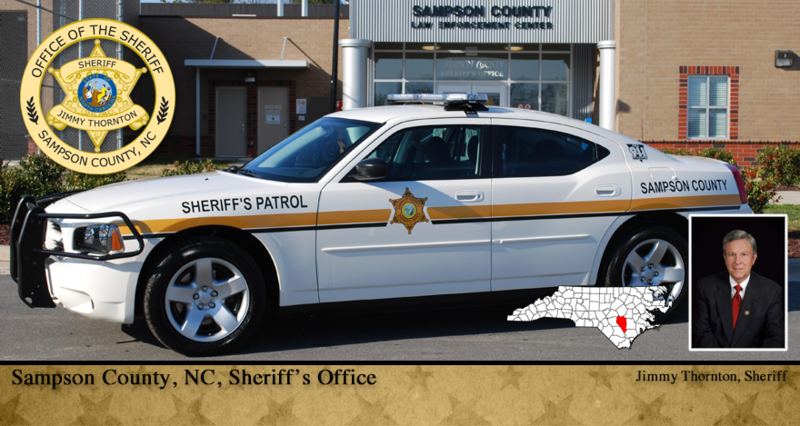 In Sampson County it is the Sheriff's Office. The Cost is $5.00. Gun purchase permit applications must be completed online and will be processed on normal business days (Monday - Friday 8:00 AM - 5:00 PM). Click the "Let's get Started" button to apply for a permit. After completing the online portion of the application, you MUST come in to the Sheriff’s Office within five (5) business days to complete or provide this release. Naturalized Citizens: Must bring your Naturalization Certificate or valid US Passport. Must NOT be convicted of any felony, or similar offense in any jurisdiction or currently under indictment for any felonious offense. Must NOT be a fugitive from justice. Must NOT be an unlawful user of, or addicted to, marijuana, any depressant, stimulant or narcotic drug. Must NOT be convicted of a Domestic Violence Offense. Must NOT have unresolved criminal charges pending. Must NOT have a suspended driver's license. Must NOT have a substantial history of convictions, arrests, or reports demonstrating a continuing pattern of criminal activity. Must NOT be discharged from the Armed Forces under dishonorable conditions. Must NOT be an illegal alien or unlawfully residing in the United States. Must NOT have an active court order of protection (50B) that alleges any domestic threat or violence. Please note that as part of the application process, you will authorize the Sampson County Clerk of Superior Court to inform the Sheriff of Sampson County whether or not the clerks’ records contain the record of any involuntary mental commitment proceeding under Article 5 of Chapter 122C of the General Statutes in which you have been named as a respondent. The purpose of this release is to enable the Sheriff to determine your qualification and competence to purchase and handle a handgun. The Sampson County Sheriff’s office offers this online service as a convenience to the community. In addition to the per permit fee of $5, the system will charge a per transaction fee for the convenience of applying and paying for your permits online. The convenience fee is not collected by the Sheriff. This fee is paid to the company that provides this order, payment and processing system to the public. You do have the option of applying and paying via cash in person at the Sheriff’s office. By doing so, you will not be charged the convenience fee.